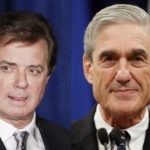 Paul Manafort gambled that he could cut a cooperating plea deal with Special Counsel Robert Mueller, feed him false information, coordinate it all with Donald Trump, and not get caught. Manafort quickly lost that gamble, and as of this evening, he’s paying for it with everything he has. Robert Mueller announced awhile back that he was ripping up Paul Manafort’s plea deal, citing Manafort’s bad faith actions. Of course this requires the approval of a judge, and so the two found themselves back in front of Federal Judge Amy Berman Jackson. She ruled this evening that Manafort intentionally lied to Mueller about multiple matters. This is a big deal for two reasons, and one of them is very bad news for Donald Trump. First, this means that Paul Manafort’s life is effectively over. His plea deal was his one chance at possibly getting out of prison before the end of his natural lifespan. Now that he’s officially been faulted for the demise of his plea deal, he’ll be in prison forever. Donald Trump has already made clear that he’s not willing to take the risk of sticking his neck out to pardon people like Manafort. Even if he were to try, Manafort would still rot, thanks to state-level charges in New York. Second, this further weakens Donald Trump’s “no collusion” fantasy. Robert Mueller accused Paul Manafort of lying about his interactions with Russian spy Konstantin Kilimnik, and sure enough, the judge says she agrees. That means Trump’s campaign chairman is going to prison partly for colluding with the Kremlin during the 2016 election. That’s on top of Donald Trump Jr’s emails, Roger Stone’s emails, and other hard proof of an illegal conspiracy between Russia and Team Trump to rig the 2016 election.